Most Venezuelans still can't buy the Petro, the state-sponsored, oil-backed cryptocurrency launched in February by President Maduro and his increasingly desperate government. Meanwhile, the number of Venezuelans who own at least some bitcoin continues to grow. And now, nearly seven months after we first reported that the number of bitcoin miners operating in Venezuela had eclipsed 100,000, Bloomberg is reporting that nearly every home in Caracas is operating a bitcoin mining rig. In his latest installment for Bloomberg's "Life in Caracas", reporter Daniel Cancel describes how cryptomania is still at a fever pitch in Venezuela, where citizens are constantly searching for new ways of ferreting out foreign currency over the Internet as the hyperinflating bolivar becomes more and more worthless. Many young people who possess the necessary skills have chosen online gaming; they can often be found hanging out at one of the 24-hour "Internet cafes" in Caracas, where they game sometimes until they're on the edge of passing out. Those with software programming skills try to find work at an overseas company willing to outsource some of its labor. 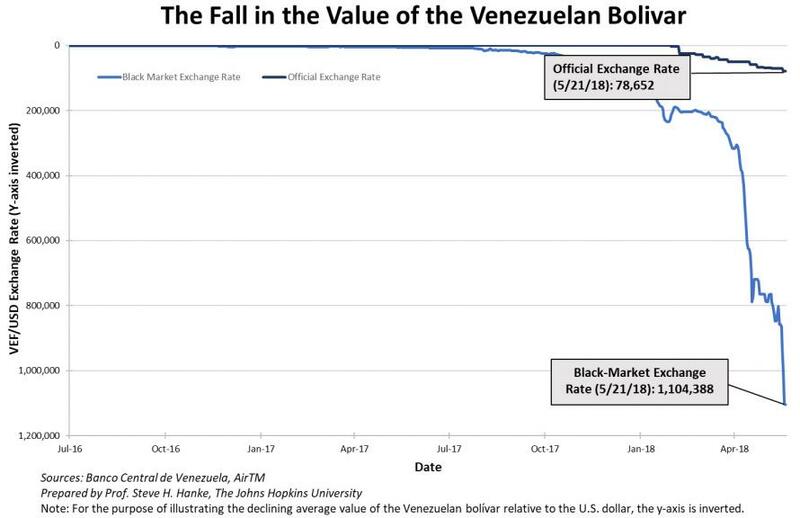 But thanks to the country's abundant cheap electricity - the result of a peculiar system of government subsidies that has kept costs low even as the bolivar has seen its value inflated away to worthlessness - any family in Venezuela with an Internet connection and a glancing familiarity with how crypto works can mine bitcoin. Even if they only make a few dollars a day, any amount of foreign currency is worth it in a country where earning $5 a day qualifies a family for middle-class status. Heck, even the $6 a day is half-decent money in a country mired in a horrific economic depression. One key to my mining pals’ success: electricity, while spotty, is basically free, the result of an odd combination of hyperinflation and government-mandated utility price freezes. Venezuelans who embrace bitcoin say being adaptable is vital to surviving in the world's most tumultuous economy, where 'Mad Max'-style violence has become the norm, and hungry Venezuelans will kill any livestock they can find to fill their stomachs. As we noted previously, in Venezuela, the majority of the population has lost trust in the government, the central bank and the banking system, which has clearly helped predispose Venezuelans to bitcoin. A Venezuelan student named John Villar said he uses bitcoin more than bolivars because it’s literally the only viable option. Villar said he has bought two plane tickets to Colombia, his wife’s medication, and paid his employees with bitcoin in the past month. Villar emphasized that he intends to continue utilizing bitcoin like the majority of Venezuelans, according to CCN. Cancel's sources justify this terrifying behavior with one simple mantra: "Human beings can adapt to anything". 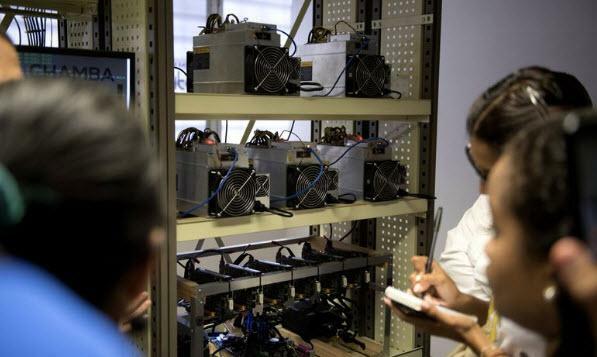 Presumably, these Venezuelans are mining other cryptocurrencies, too, not just bitcoin. A key aspect to that adaptation is managing someway, somehow to set up a steady flow of revenue in dollars or some other foreign currency. It’s the only way to keep up with inflation that a Bloomberg index estimates to be running around 16,000 percent a year. A family of four can live reasonably well in Caracas on $500 a month. Remittances continue to be crucial to the Venezuelan economy - but their role as its lifeblood is finally being rivaled by bitcoin. As Cancel points out, many Venezuelans see this as a disheartening sign of just how far their country has fallen. Reliance on remittances was once the lifeblood of Honduras, El Salvador and the Dominican Republic. "Countries don't just disappear," Cancel said. But the spirit of the old Venezuela is long gone. 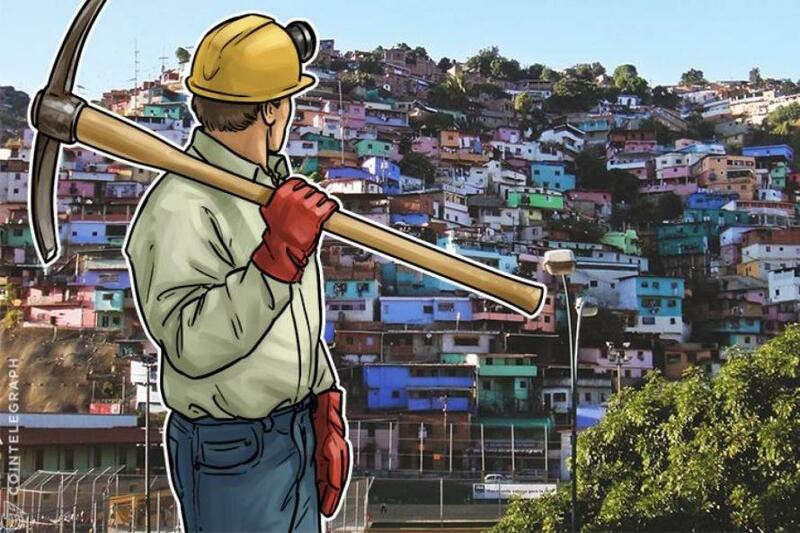 There is just one problem with all of this... Bitcoin mining is illegal in Venezuela, and anybody caught operating one of these illicit crypto mining operations can expect to be swiftly imprisoned by Maduro and his thugs.